In pursuing your M.A. degree at JUC, you will have the opportunity to become immersed in the rich and dynamic learning environment of Jerusalem. We don’t fit molds—we create them. FOUR DEGREE PROGRAMS. ONE UNIQUE OPPORTUNITY. land, language, people, and texts. The M.A. in Biblical History and Geography enables students to become well-versed in the history of the biblical world and in the subfields of historical geography, archaeology, and biblical Hebrew. The M.A. in Hebrew and Cognate Languages is designed to provide its graduates with a core understanding of biblical Hebrew and its cognate languages, including their grammar, syntax, and literatures. The M.A. 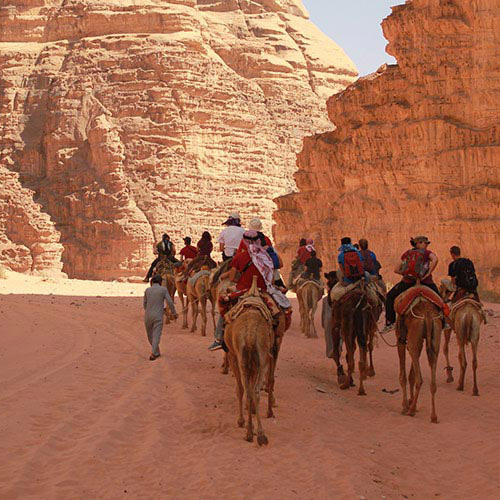 in Middle Eastern Cultures and Religions offers students the opportunity to study and interact with the peoples, societies, and cultures of modern Israel, the Palestinian Territories, and the Middle East. The M.A. in Hebraic Roots of Christianity is designed to provide graduates with a core understanding of the historical, cultural, religious, and literary realities of ancient Judaism from which early Christianity arose.